A subtle and sincere bouquet arranged with luxury avalanche white roses and long stemmed stargazer lilies set in a bed of tropical palm with dashes of sweet smelling gyp flowers. Solstice is beautifully arranged by our talented florists and is a bouquet that is suitable for all occasions. 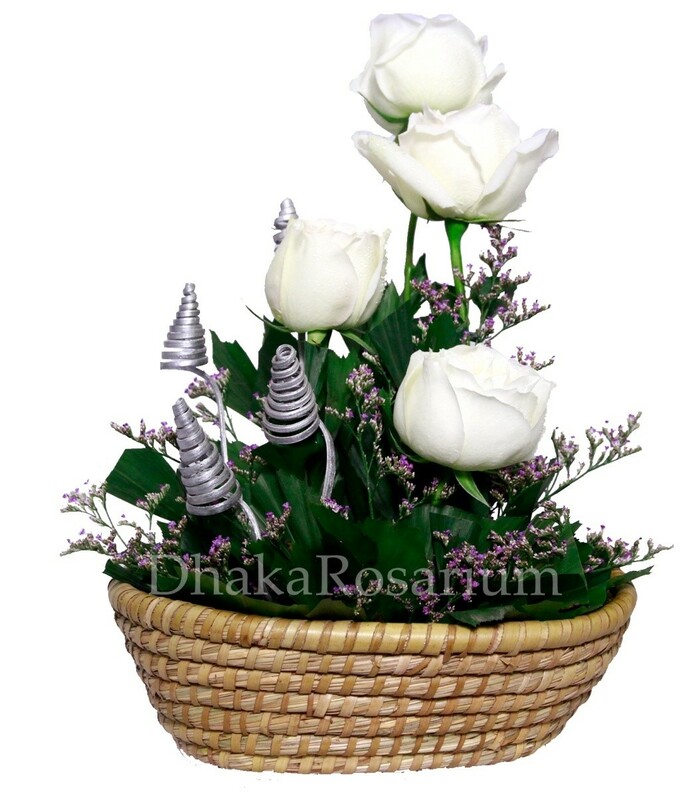 Fresh imported white roses including limonium(Limu) and few dry sticks are assembled in a handmade basket decorated beautifully.